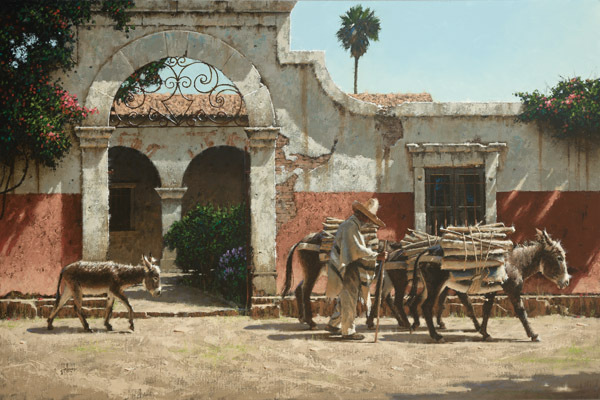 For many years, the main mode of transportation in Mexico was the burro. Both strong and loyal, the donkey became more than a beast of burden, sometimes becoming part of the the family. The old man and his three partners have traveled this route many times before. The animals are not haltered, they know where they are going and the sooner they arrive, the sooner they will be unloaded. A few yards behind comes one's offspring, not yet ready to carry the weight of adulthood. The Apprentice.